I’ve sent the flickr link to Tony as you were talking about it when you met. I just don’t think there is anything like that around here! It does look perfect, Joanna. Ceila, I read somewhere it is about 6 metres deep at the south end where the boards are. It is a former quarry filled by rainwater and some small springs. Quarrying finished there in 1912. The swimming club has been going since 1919. Another quarry nearby is now a small park with a children’s play area in it, called Quarry Park. It’s amazing what you find out reading food blogs – I had no idea anything like that existed in Bristol (not that I am particularly acquainted with Bristol). We have a quarry up on the moors not too far away where I used to swim all the time as a teenager. I used to love outdoor swimming but haven’t done it for many years now – even though the sea is so close. Lake Geneva was the most goosebump inspiring lake I have swum in – a few of us au pairs would try and scare each other the further out we got by telling tales of how it was so deep no-one had yet discovered the bottom – it was certainly very cold. Choclette, that’s because I am not a food blog really – that’s just my disguise to lure you into reading my posts :) I like the idea of your quarry on the moors. I wonder if it is in Waterlog, does it have a name? 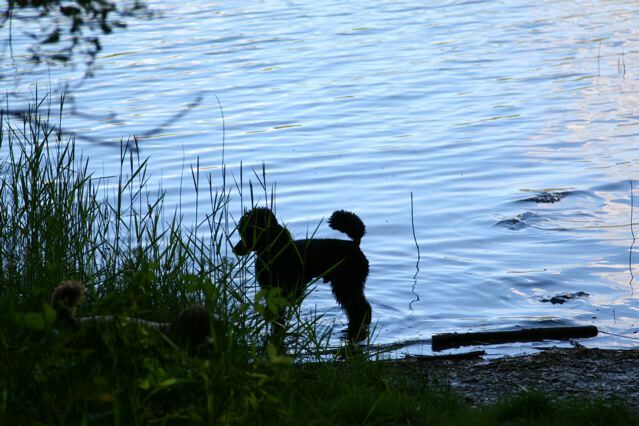 Oh Joanna – how wonderful to be able to swim in that lovely lake whenever you like during this hot weather! The water looks so invitingly cool and serene …… (serious envy coming on here). That’s really what I call ‘living the life’ – enjoy!